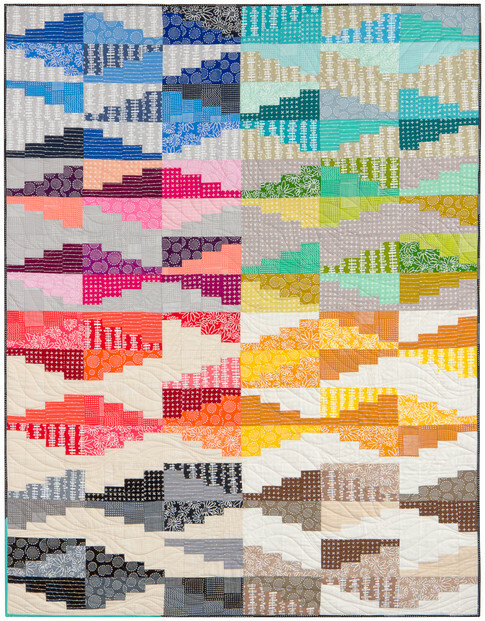 Skyline by Linda Sullivan (California). 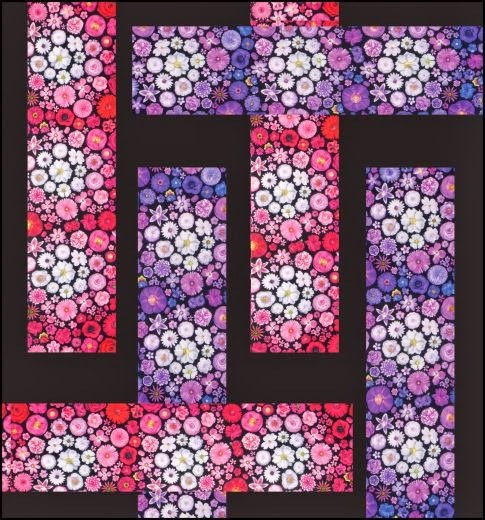 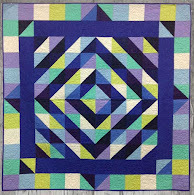 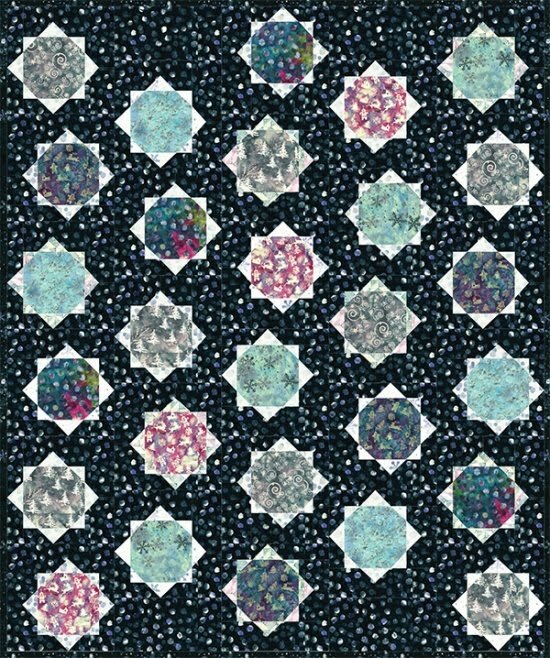 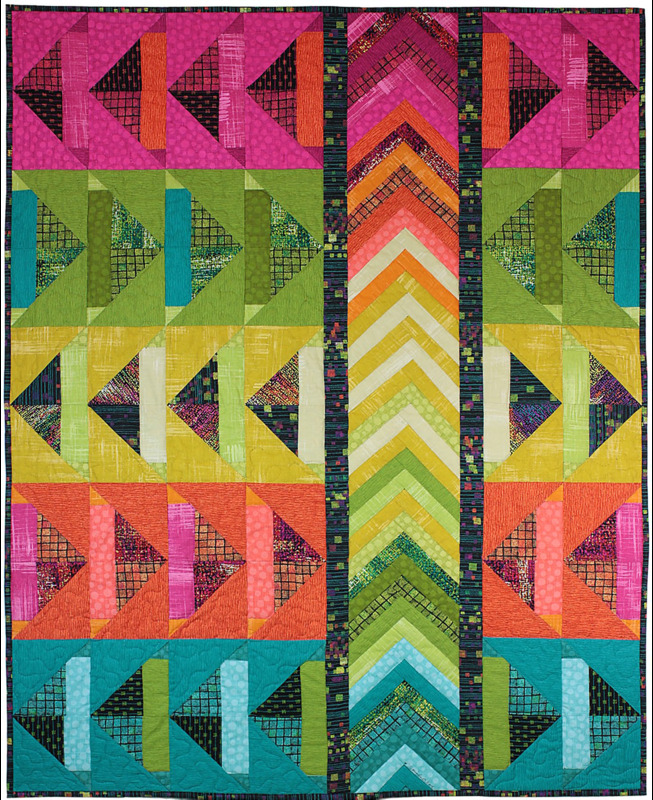 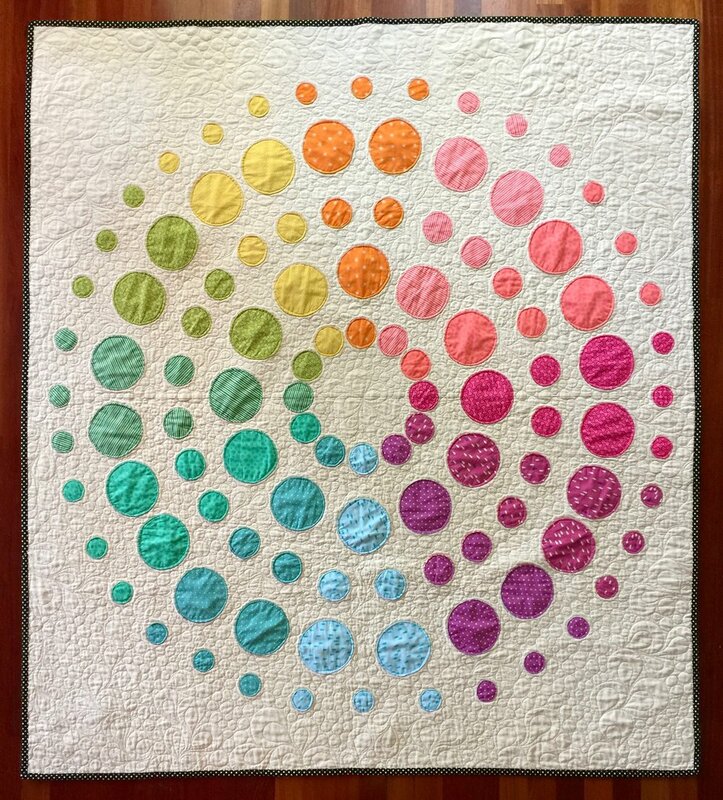 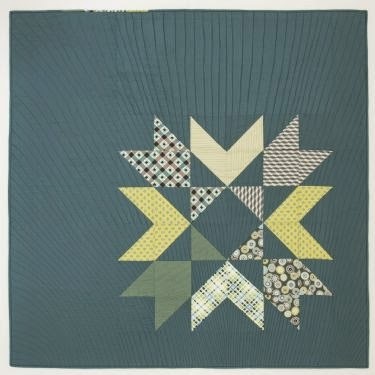 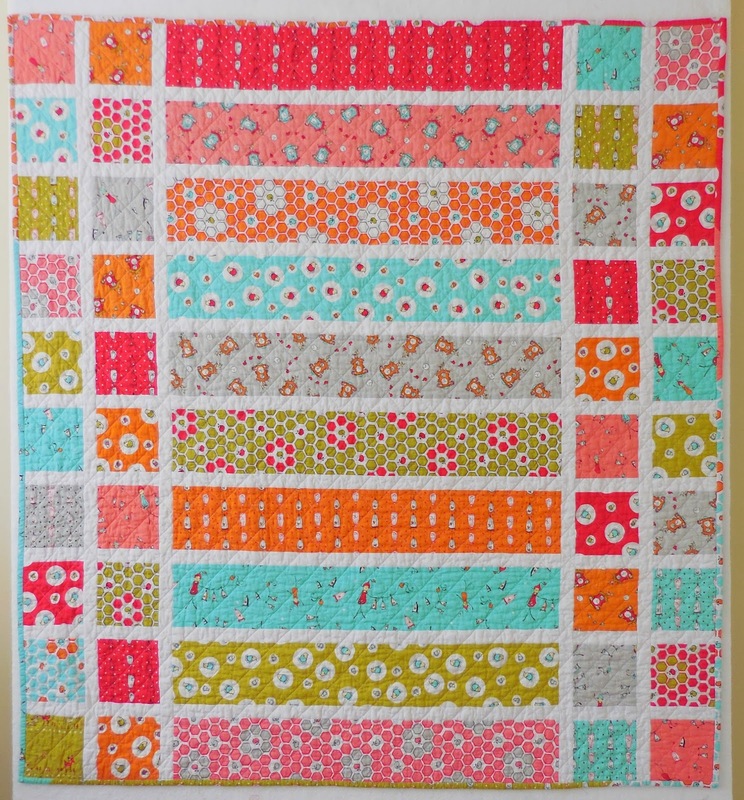 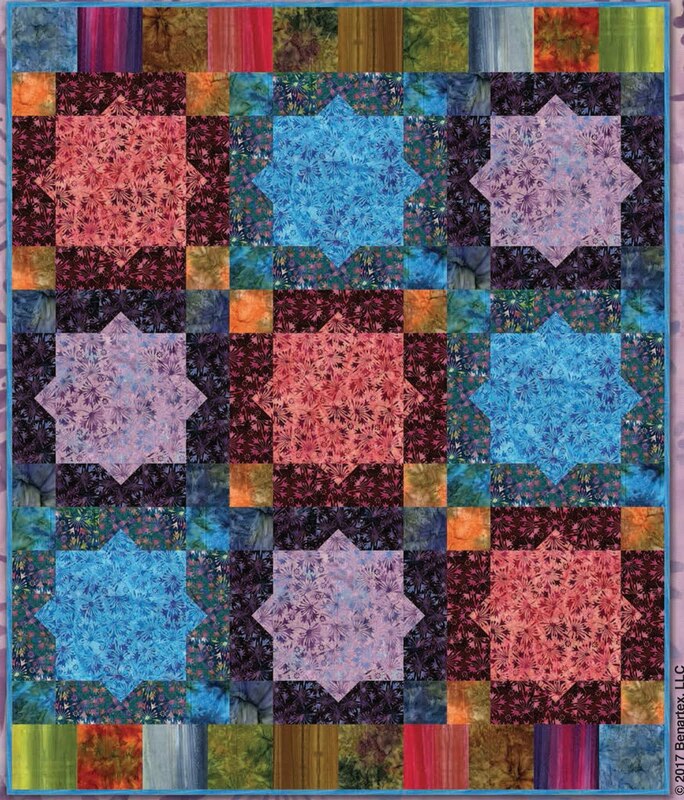 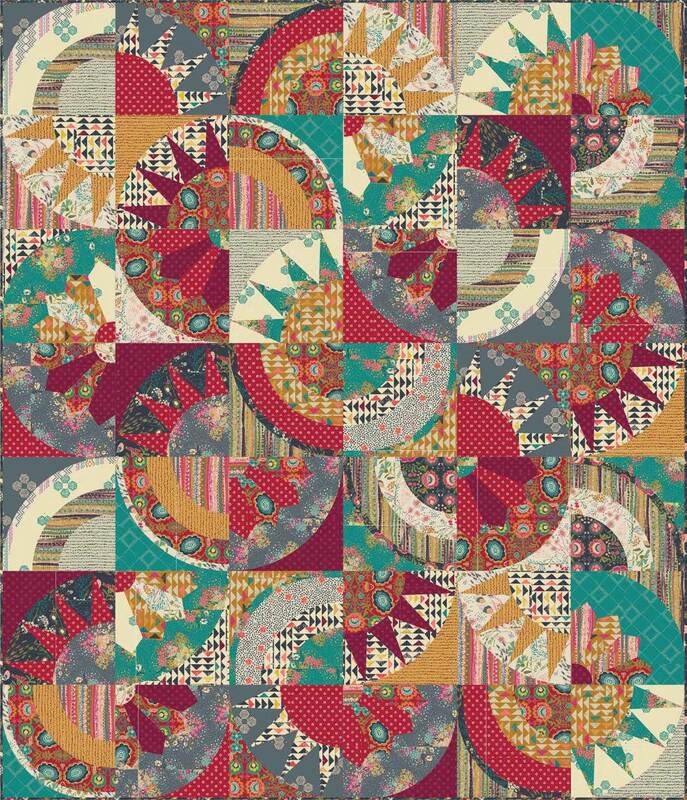 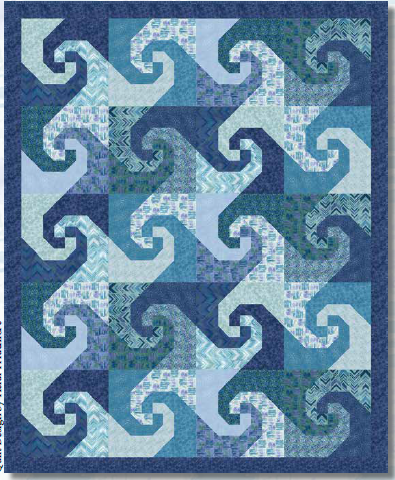 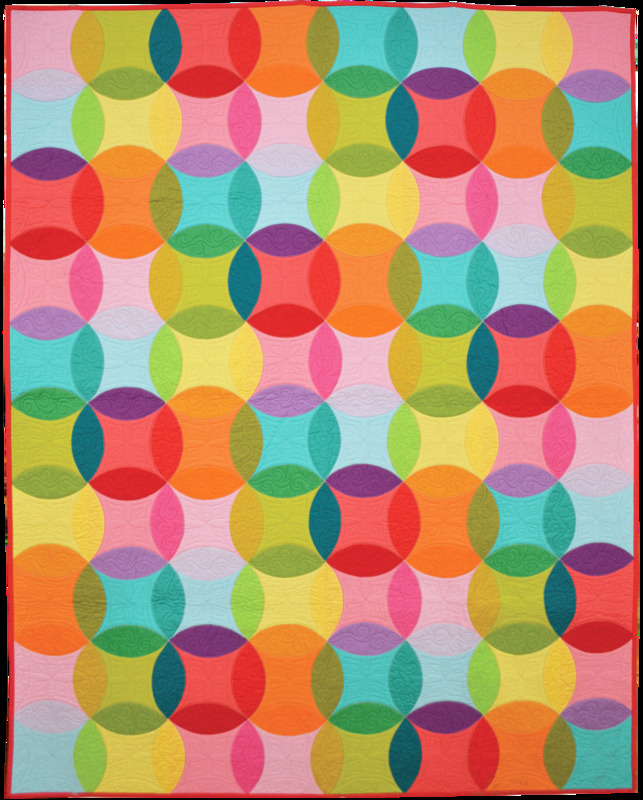 Quilted by Teresa Silva. 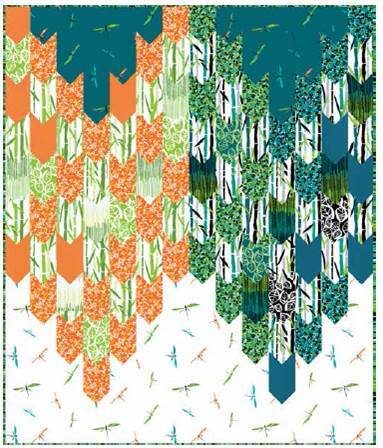 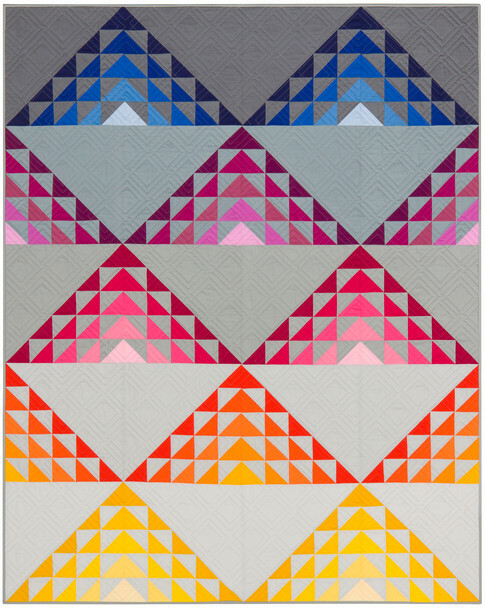 Linda explains, "Mesmerized by the 3-D designs and secondary patterns I discovered while studying a 1930's blueprint of the Chicago skyline, I set out to contemporize these isometric shapes into a large-scale quilted wallhanging for our home office." 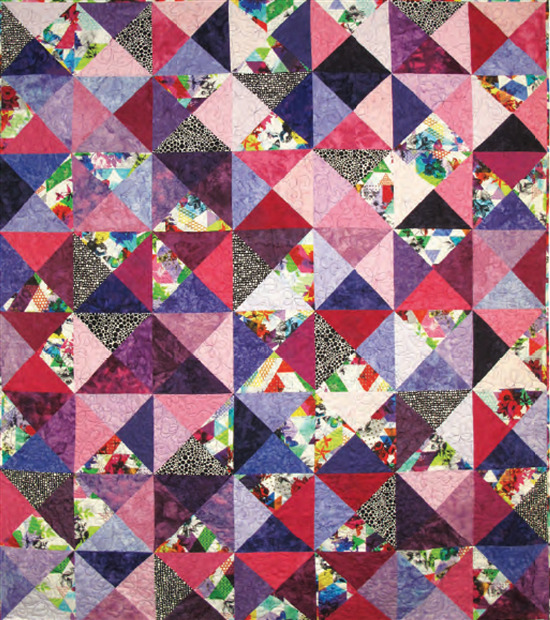 Linda's techniques include machine piecing and quilting, plus embellishing and paper piecing. 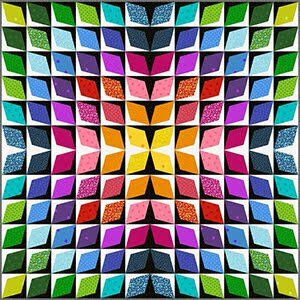 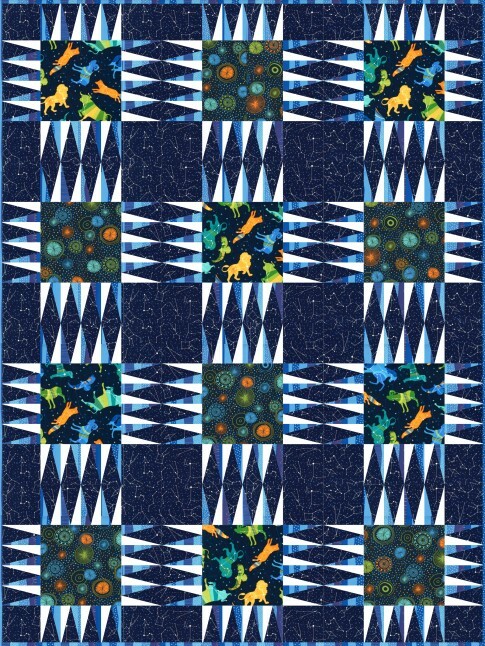 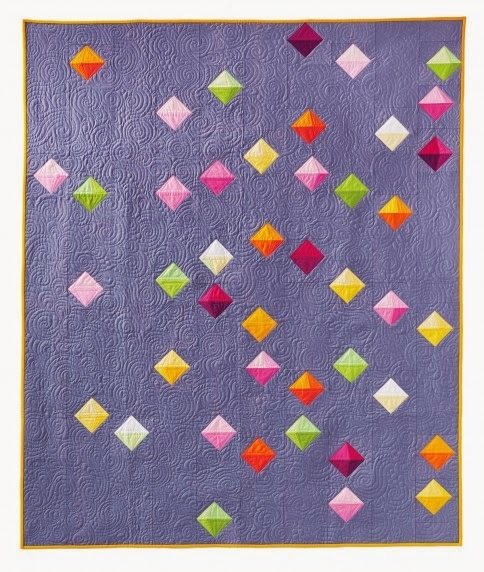 If you focus on this wonderful quilt for a few minutes, you will start to see all several different forms of three-dimensional shapes which look like floors or cubes of the buildings. 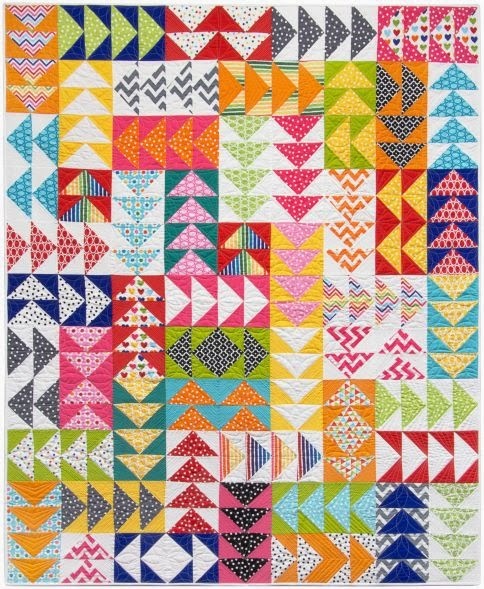 Cecilia says, "People usually say that cities are boring and grey, but for me, Buenos Aires (the capital of Argentina) is so vibrant, that I find it colorful." 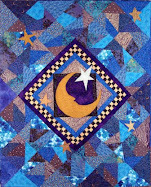 Cecelia's techniques include machine piecing, quilting, and applique. 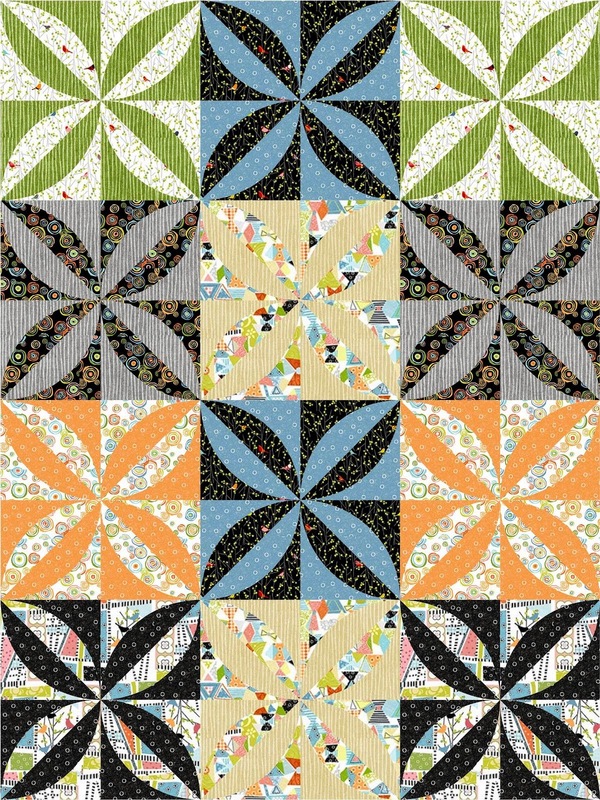 With the warm colors shown in the windows and the way that the houses are snuggled next to each other, Cecilia's rendition of he city shows it to be a happy place, full of light and energy. 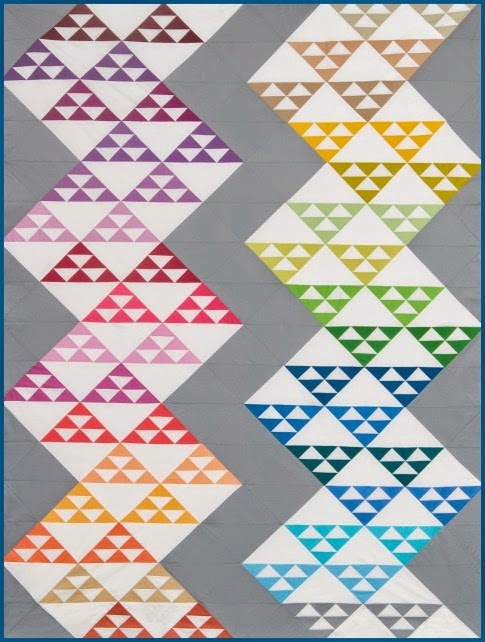 Hope states, " 'Be Someone' is a phrase I see frequently, sprayed on an overpass while driving into downtown Houston. 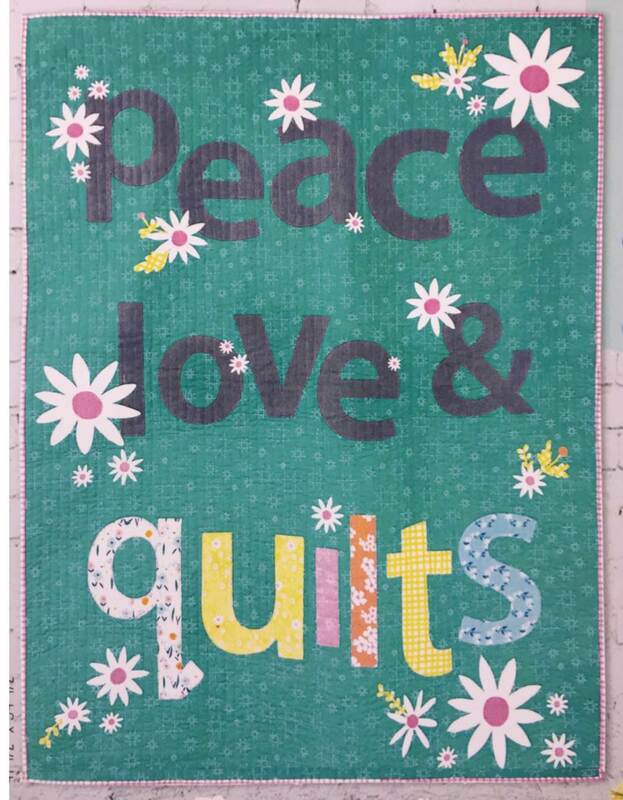 The phrase touches me spiritually, practically,and personally. 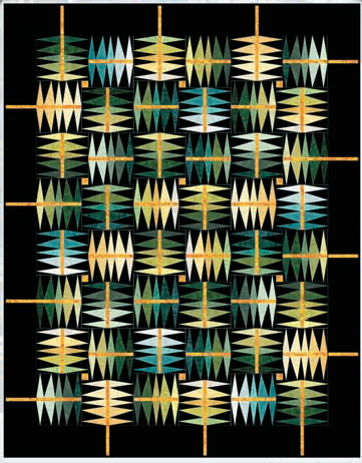 It inspired me to use it to continue a series of work begun a year ago that employs a technique of stacked lettering. " 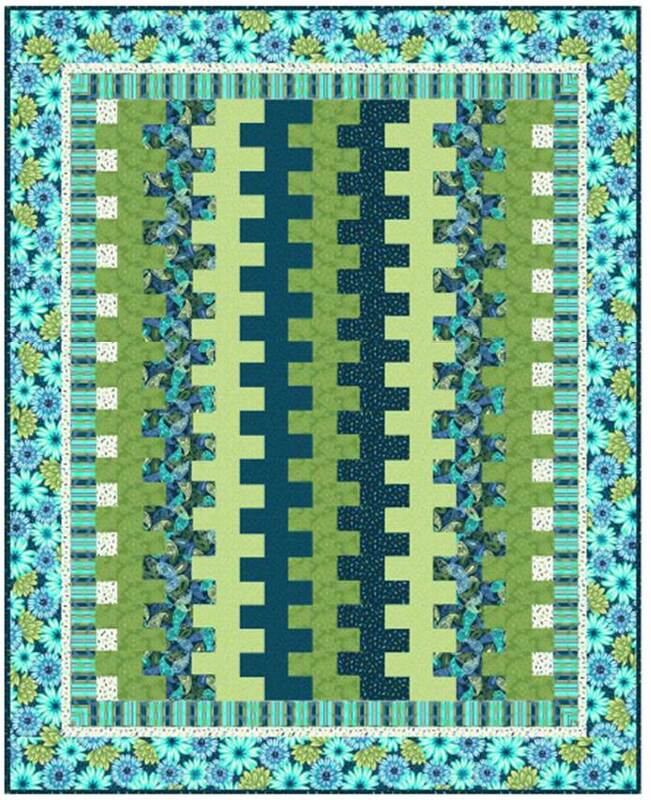 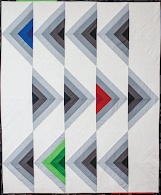 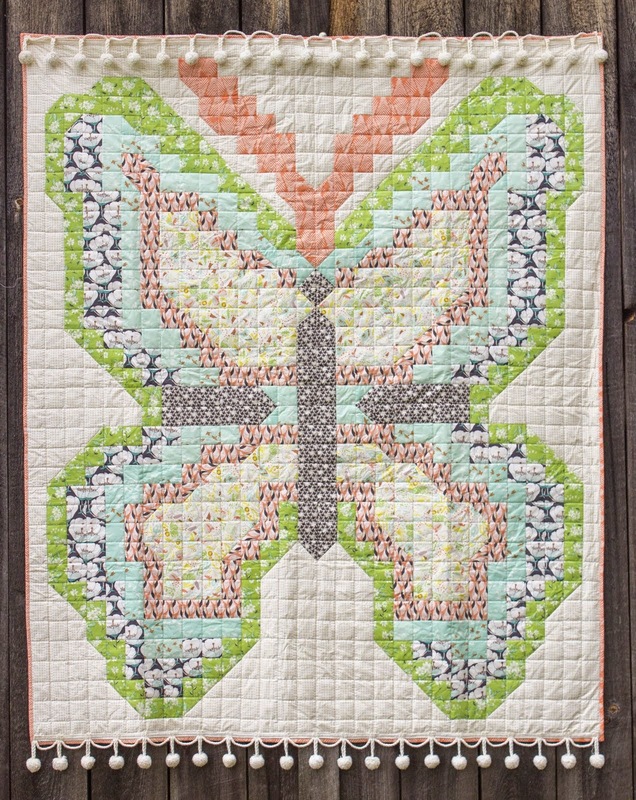 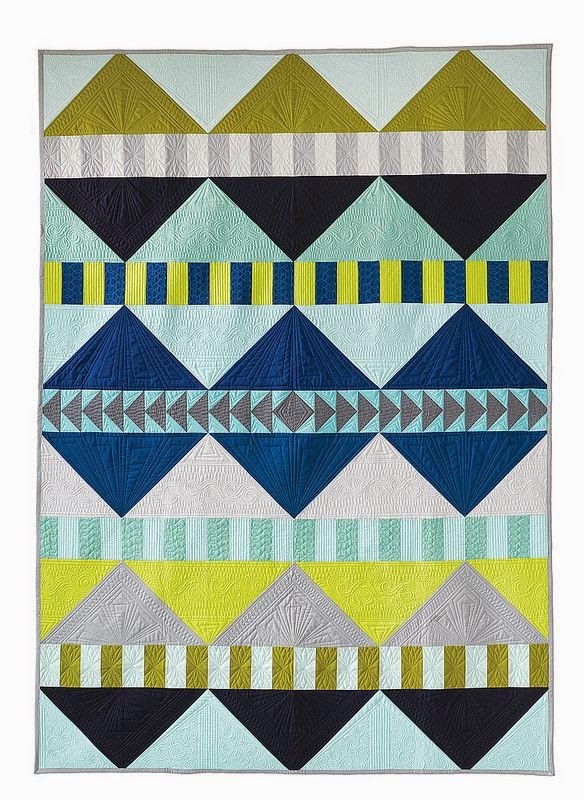 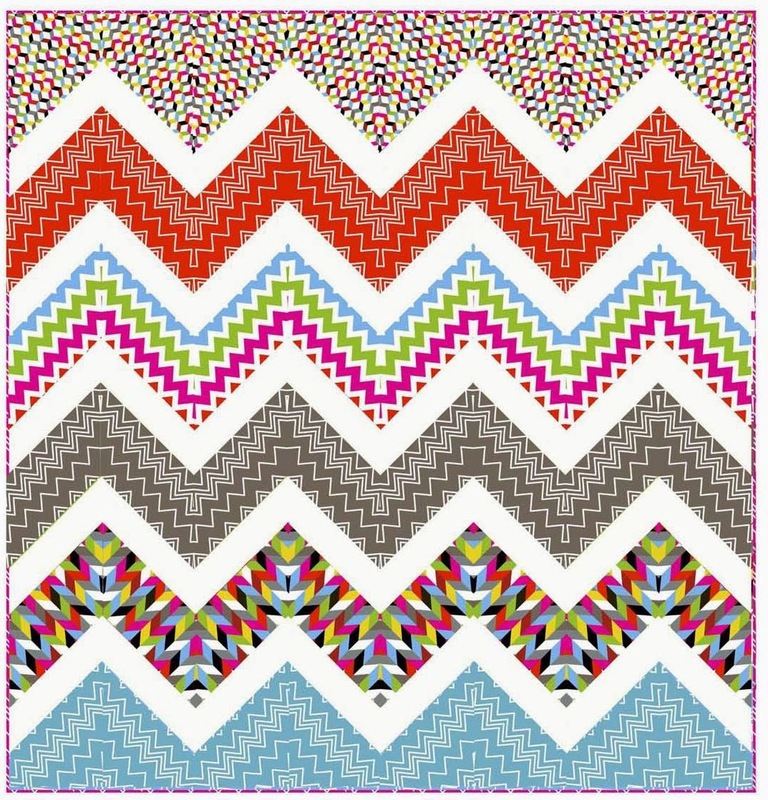 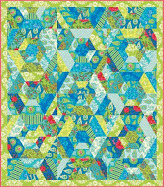 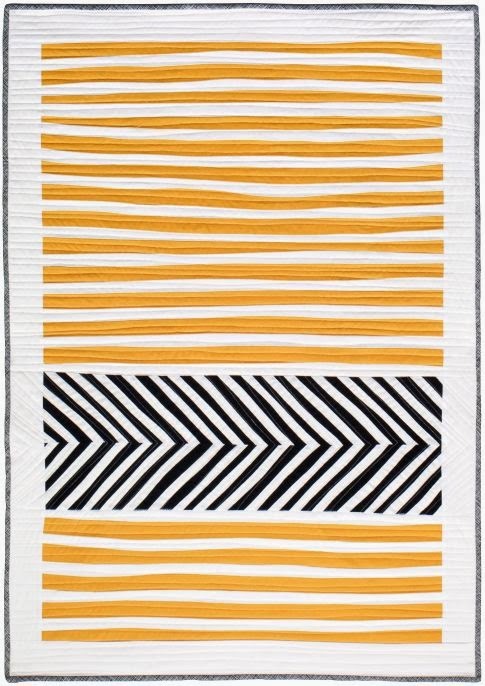 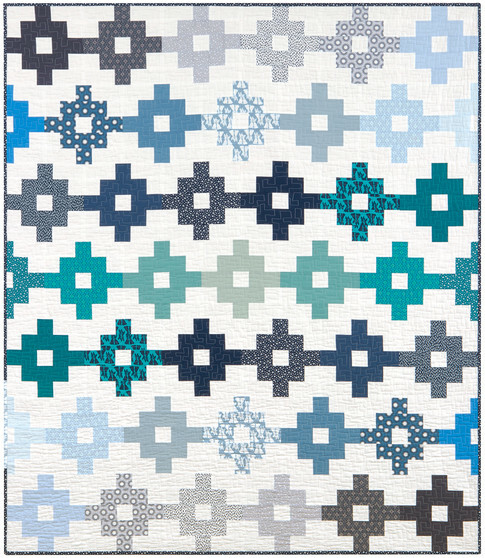 Hope's intriguing and artistic original design is machine appliqued, quilted, and painted. 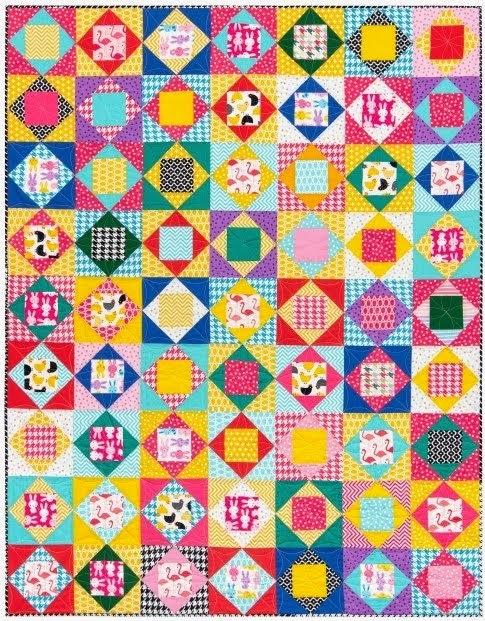 The tiny squares of the quilting provide the perfect juxtaposition to the bold, rounded motifs of the foreground. 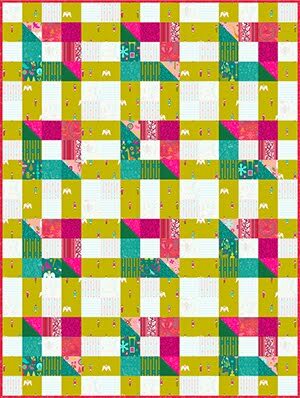 Melanie explains, "Neighbors is inspired by the shapes and shadows made by my house's blinds as the light moves through the house each day. 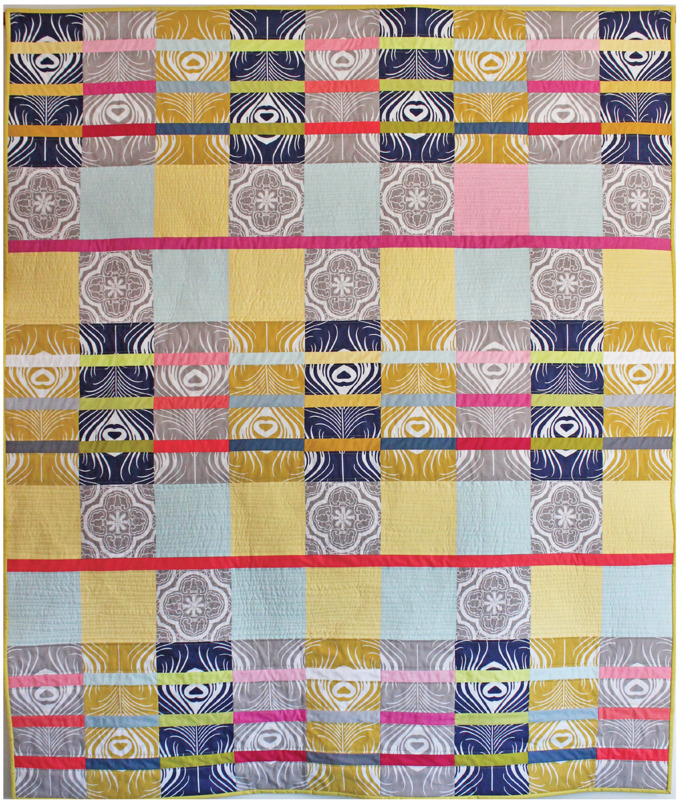 I made it during a time when there was a lot of fear in our community, so some blinds are more open than others. 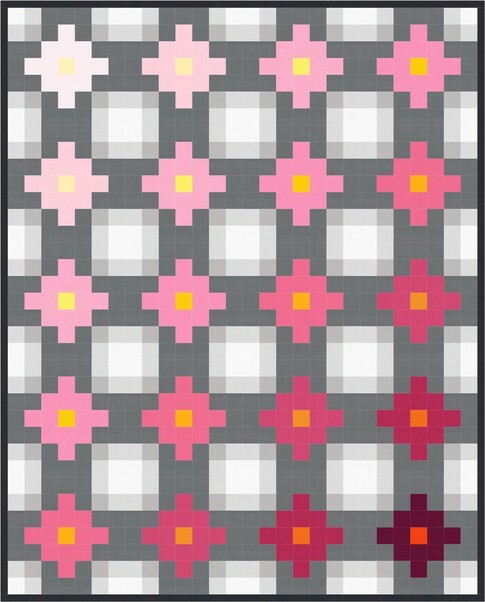 Some face other windows, while others turn away." 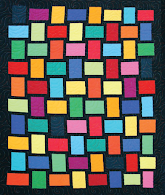 Melanie's work, which is machine pieced and quilted, has fascinating contrasts and depths of color. 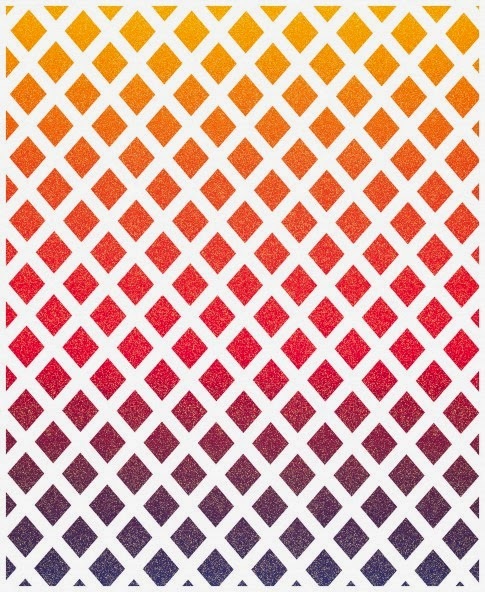 These design elements show the window blinds as being both protectors against outside dangers and guardians which allow sunlight in to warm the interior living space. 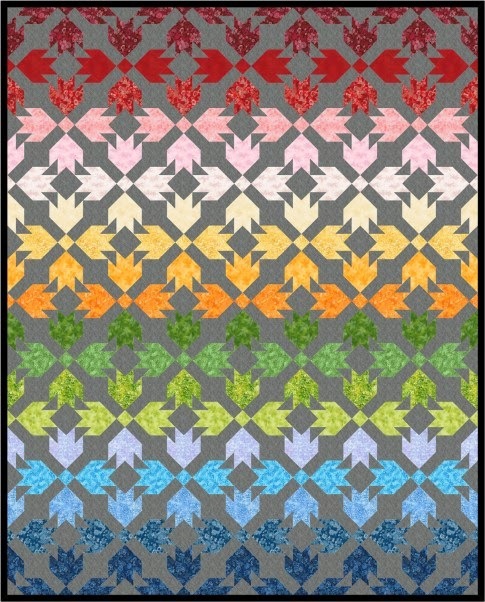 to those causes and people in need." 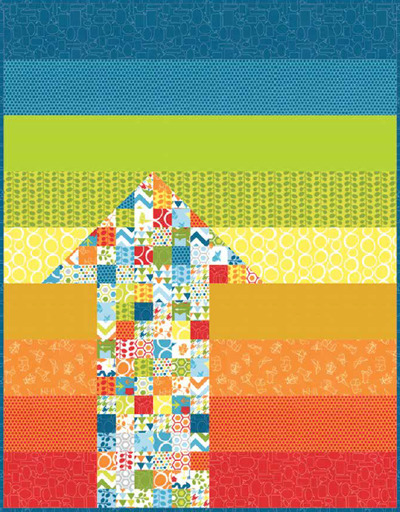 Hillary adds, "We all have something positive to bring to our community, regardless of political party, religion, etc. 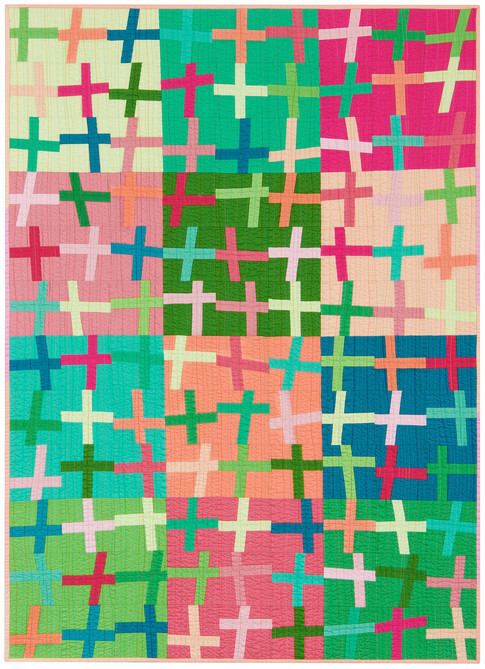 This quilt is a reminder of that goal and the powerful potential of our collective action." 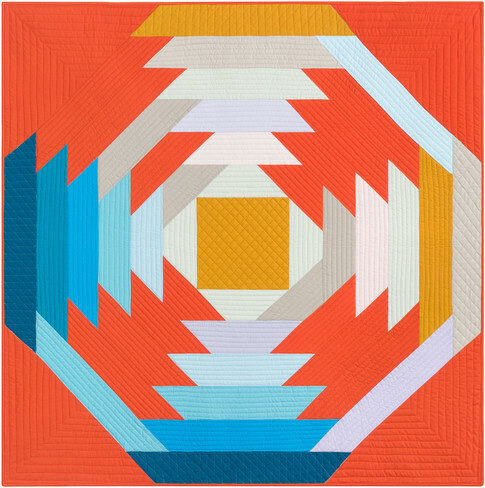 Hillary's thoughtful, eye-catching, and reflective work, done in colors of apricot, peach, and tangerine, is machine pieced and quilted. 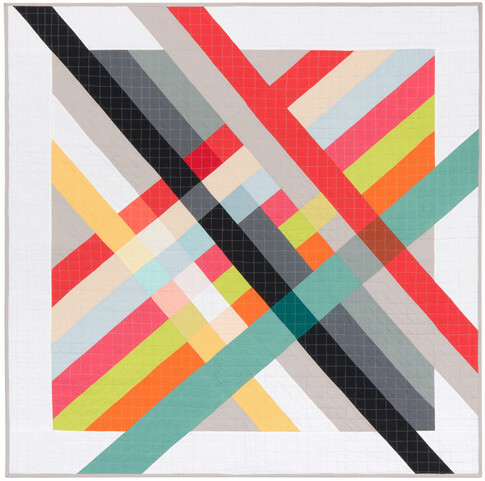 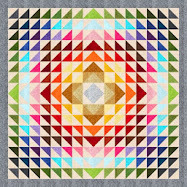 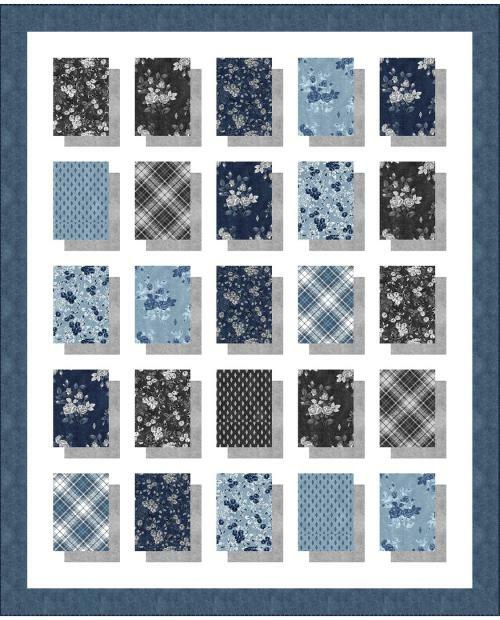 Petra says, "Reconstructed Color was inspired by the fabric itself: yardage in a vibrant, multi-colored plaid pattern. 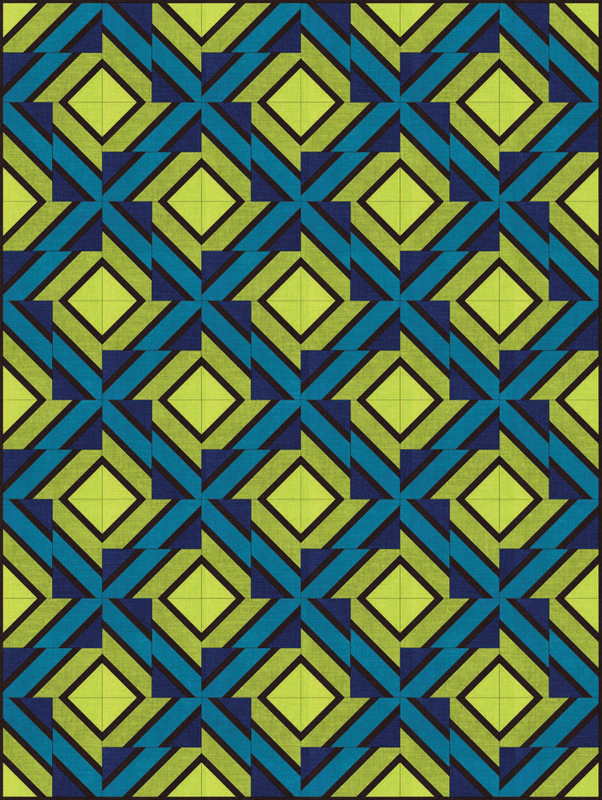 Despite the jewel-tone colors, I found the plaid pattern to be too predictable. 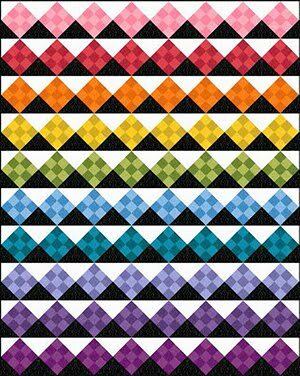 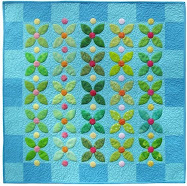 I cut the fabric into small squares, so that each square captured four different colors. 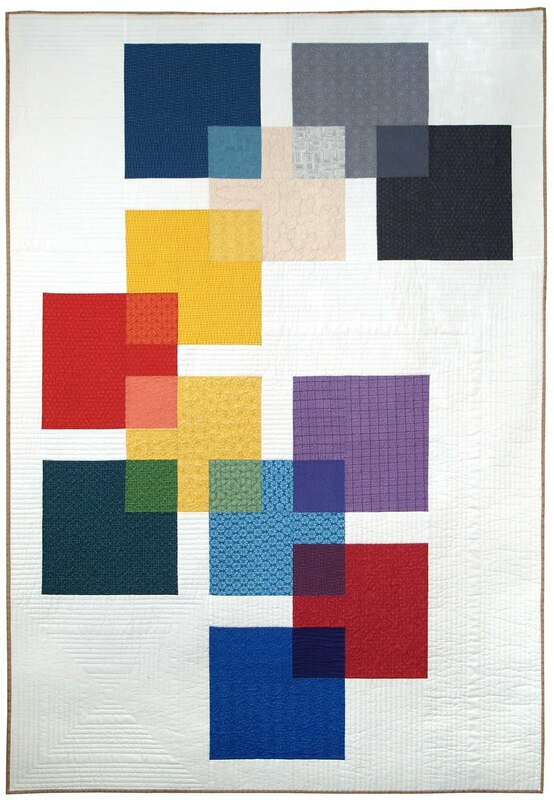 I then reassembled the squares in less predictable and more dynamic composition." 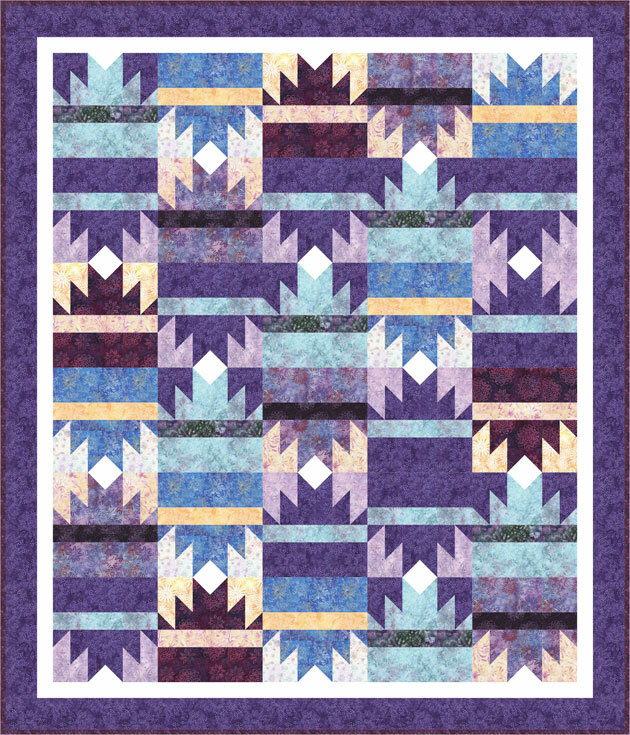 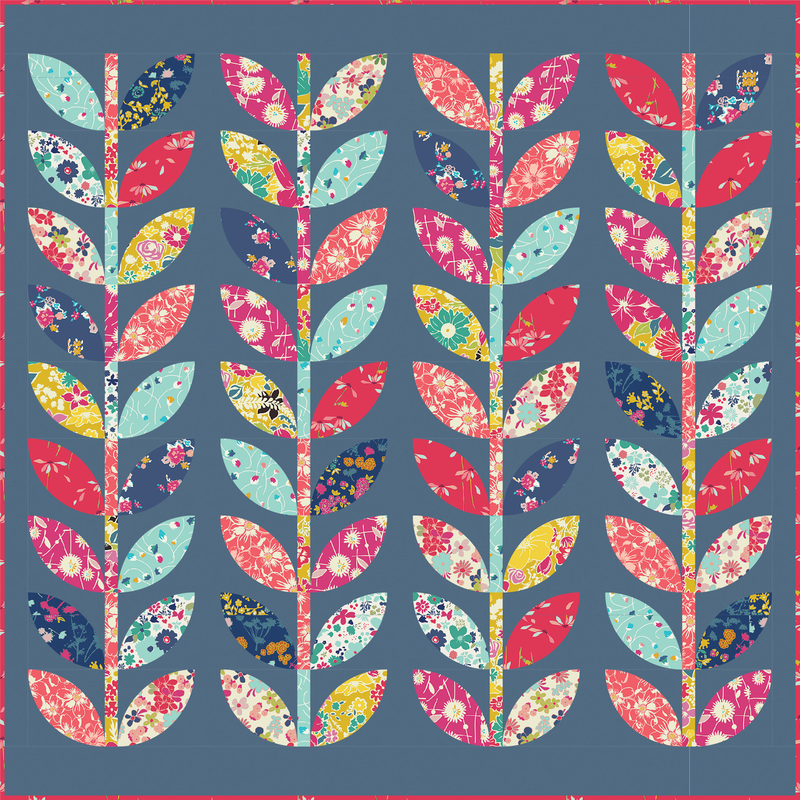 Petra's original design is machine pieced and quilted. 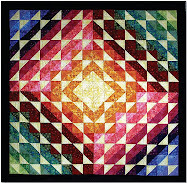 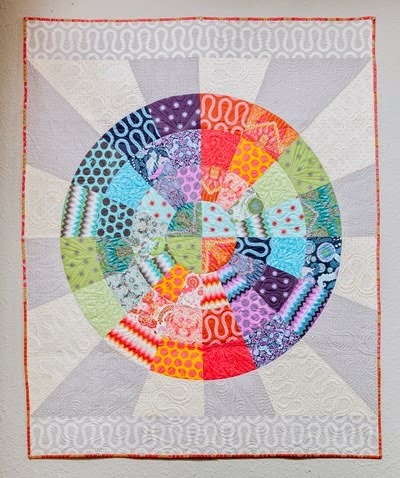 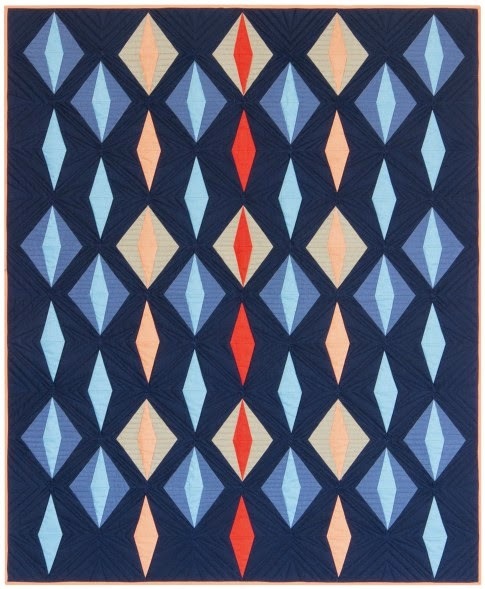 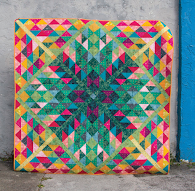 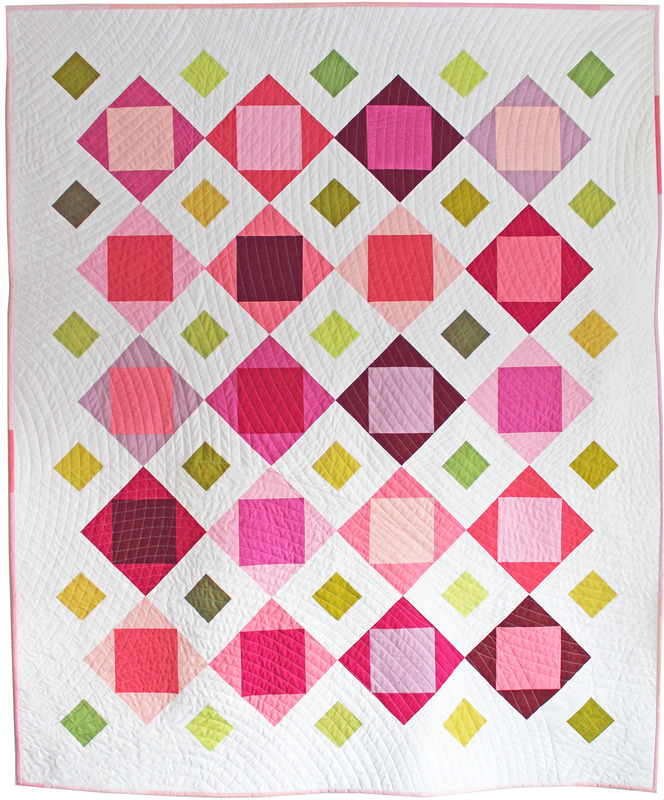 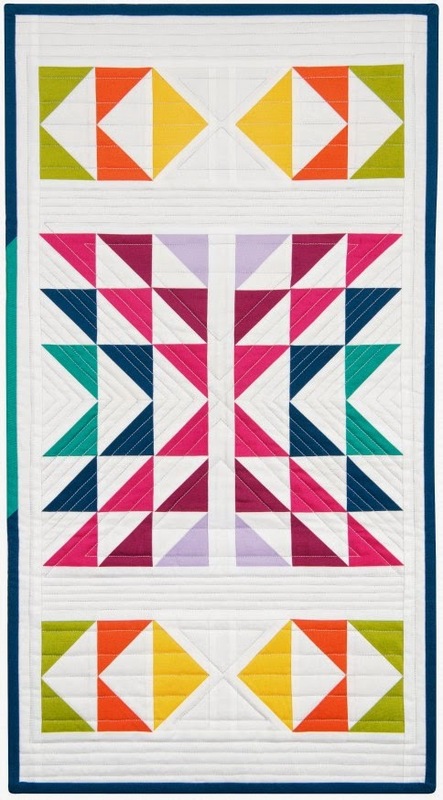 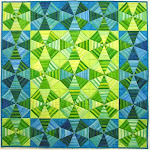 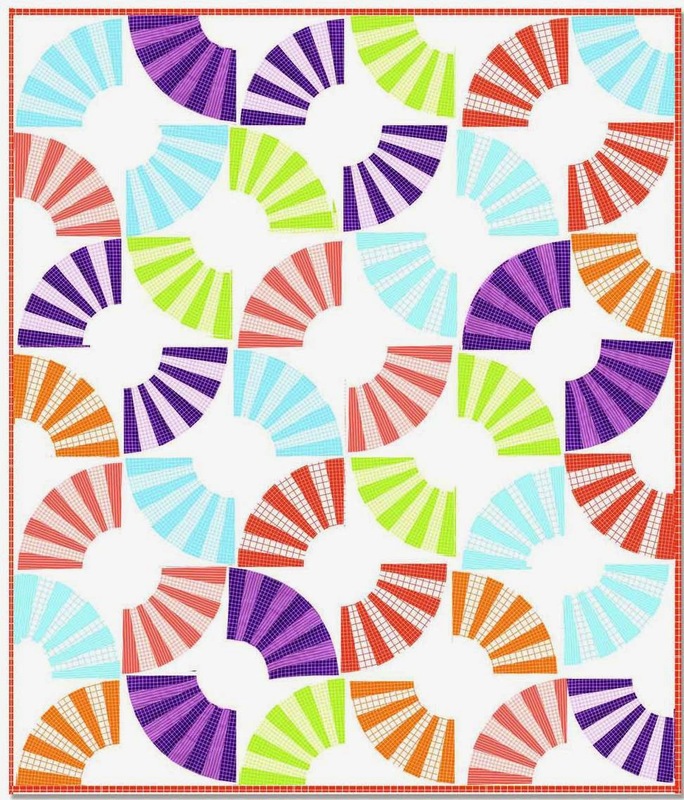 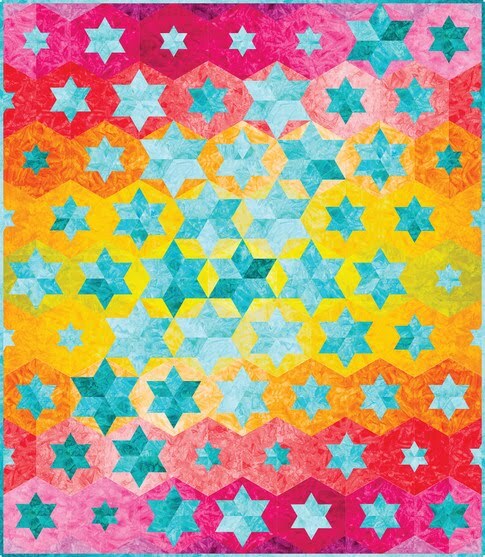 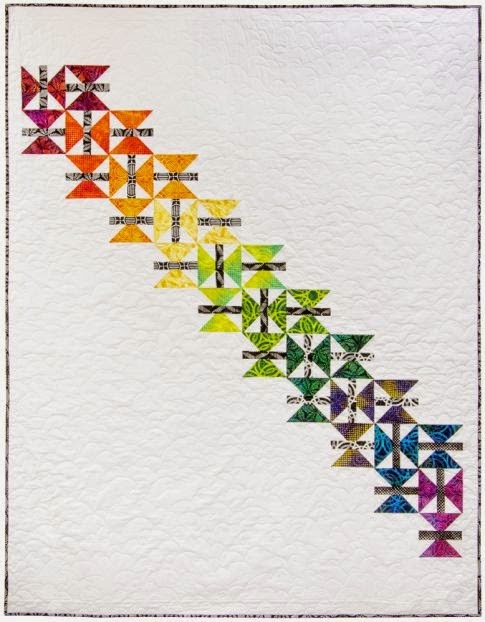 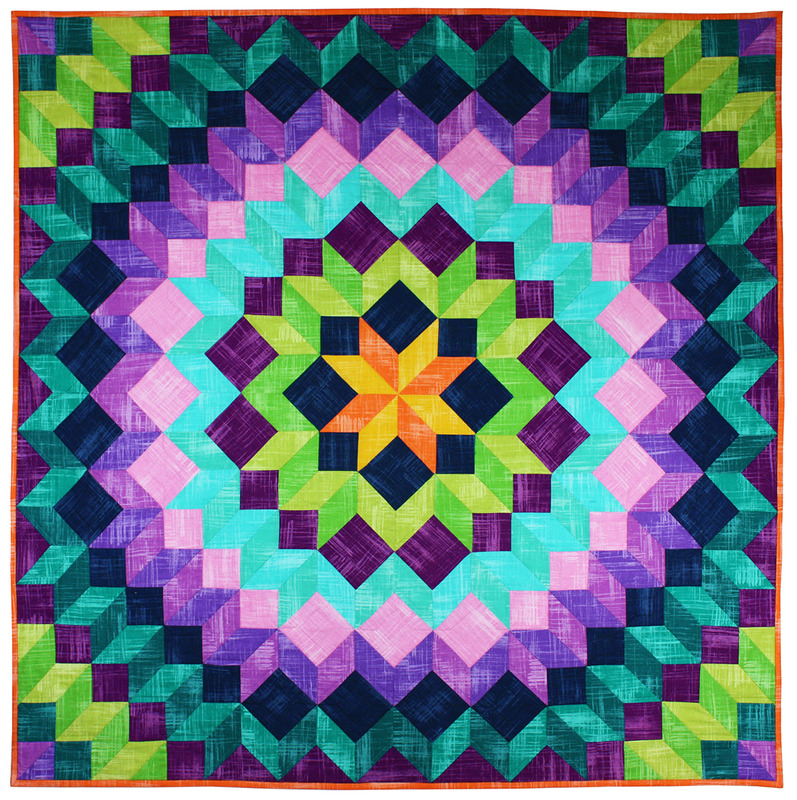 The results of her work show a gorgeous quilt, radiating light and color. 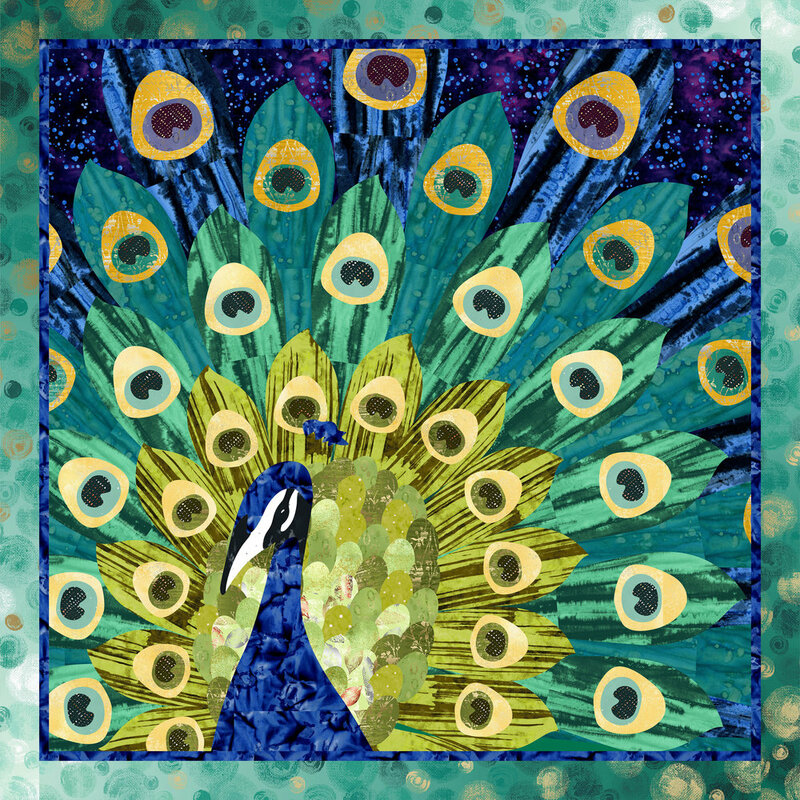 All.are stunning and the first one is my.best favorite. 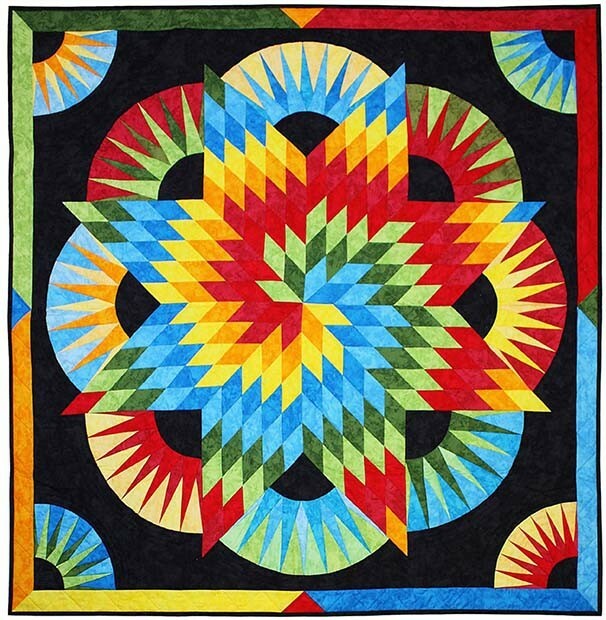 All so nice, but that "Shine a Light" jumps out at me.